Last weekend I headed over to Bobbin and Ink's new store in Petersham to attend a sewing day with the Sydney Spoolettes. This was fresh after my Tessuti class so I was on a sewing HIGH! 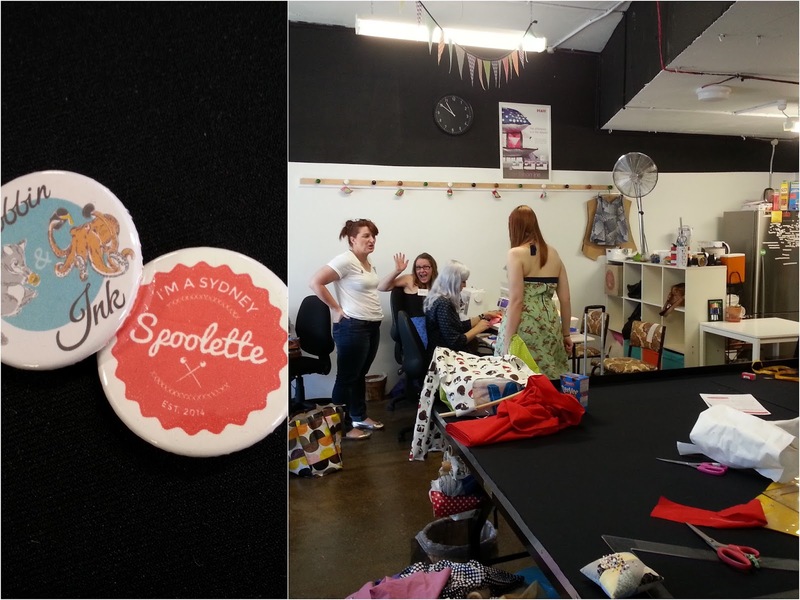 This is the second sewing day the Spoolettes have had together and I have to say I love them...there's a LOT of chatting and meeting new people, but surprisingly quite a lot of sewing takes place too. The fabric I've used for my second Mabel is a thickish cotton/poly/elastaine from the remnant table at Tessuti. The price tag says $42 for 1.2m but I'm fairly sure I only paid $18 for this...I hope! I had thought that this version would be more tight than my first Mabel as the fabric was a lot...firmer, but it's actually turned out to be a much better fit. When I compare the sizes of the two skirts though (laying one on top of the other) this one is bigger than my first version...not sure how that happened as both were cut as an XL. There's not much else to say about this skirt. I added the clear elastic into the waistband again to make sure the skirt didn't slip down though I found out the hard way that the elastic shouldn't be wider than the overlock stitch otherwise things become too bulky and it's impossible to turn the waistband neatly. 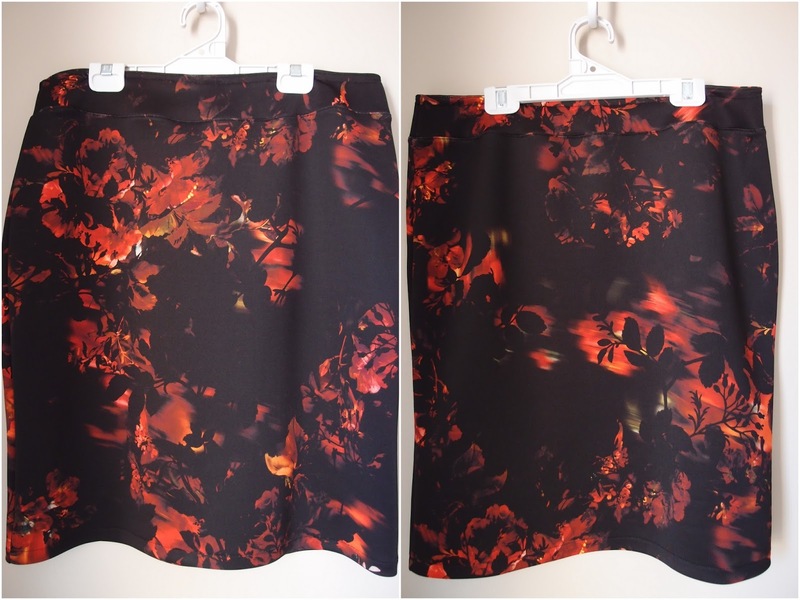 I'll probably make a few more of these along the way...I have some fabric in the stash that would work well, but I guess I'm trying to avoid a cupboard full of Mabel skirts (in a cupboard where I already have about 6 RTW versions of this skirt). What about you...do you sew multiples of a pattern once you find one that works well for you? Changes for next time: NONE! Why mess with perfection hey? Two wins in one weekend! Is this sewing El Niño? I do indeed sew something I like several times. I have sleeveless cowl neck dresses for a start. I've now got two Alders. I often find I want to sew something I like right away... if I leave it the squirrels appear with new ideas. I agree. 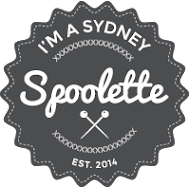 Sewing with the Sydney Spoolettes is lots of fun. Yes. I sew in multiples. I can foresee your 2015 wardrobe with a future of Mel-made wins. I LOVE sewing multiples! I see that some people dont cause there are so many patterns out there to try so they dont want to waste time on multiples. Me on the other hand i love multiples as i find them more relaxing to sew cause after the first time you know how next ones are going to turn out, you dont need to waste any energy stressing out over whether its going to be wearabe. 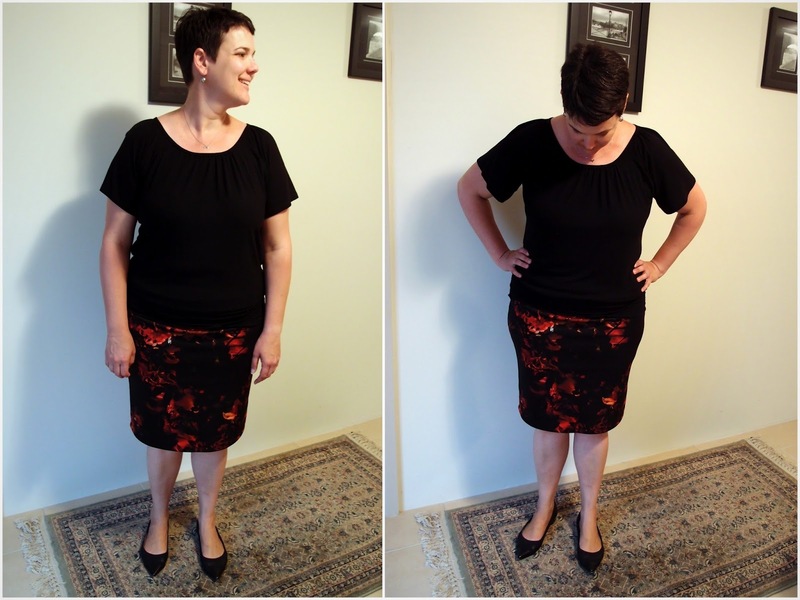 My latest fav multiples are simplicity 1366, casual lady and a newlook pencil skirt - all knits!!! This skirt looks great, thanks so much for the fabric too! it looks great, I love that pattern on the fabric. I make patterns over and over all the time. I find if they suit me I just want to keep wearing the style but I get bored of the print its in so I make some more. It's a great way to get value for money from patterns. I loved being there to see your sewing win come to life! It was such a great day at Bobbin & Ink - I can't wait for the next one! Gosh that fabric is just perfect for a mabel. Go you!